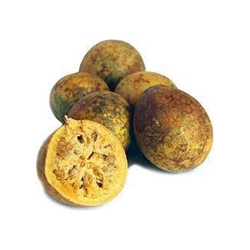 To cater the variegated demands of our clients, we are highly engrossed in providing a wide range of Bael Giri. Commonly known as Bael and its botanical name is Aegle marmelos. 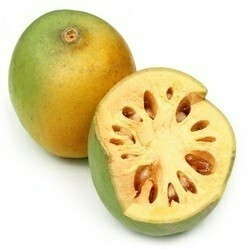 It is a fruit-bearing tree native to dry forests on hills and plains. It comes handy in preparing remedies for ailments like diarrhea, dysentery, intestinal parasites, dryness of the eyes, and the common cold. It is a very powerful antidote for persistent constipation. Our company is one of the supplier of bilva as bael at Indian market place value. We are the emerging supplier of bilva at market level prices to our valuable clients as well customers. We are one of the emerging supplier of Bilva at Indian market value. Carminative properties. It helps in the healing of ulcerated intestinal surfaces. It possesses anti-viral, anthelmintic and anti-inflammatory properties and has appreciable activity against intestinal pathogenic organisms. action: the herb has anti-spasmodic and anthelmintic properties that ensure optimum gut functioning. Herbal remedy for Irritable bowel syndrome. We are one of the emerging supplier of Bilva as well as bael at market level prices. We are providing to our valuable customers a wide range of bilva as well as bael.